From warmth loving mammals to a rich population of avian life can be found in this bio diversity rich state. Indravati National Park in Chhattisgarh is one of the most frequented Wildlife Parks in the state. If you are considering a Tour to Chhattisgarh be sure to include this place in your travel itinerary. 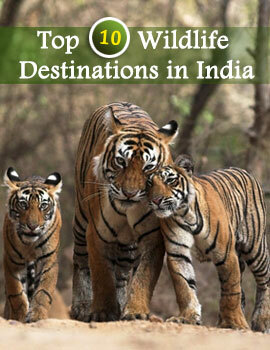 Located in the Dantewada district of Chhattisgarh, Indravati National Park is the only Tiger Reserve in the district. The Park gets its name from the Indravati River which flows in the Northern fringe of the wildlife reserve. Sprawling over an area of 2799.08 sq km, this park houses a lot of diverse flora and fauna. The natural vegetation and climactic conditions are apt to support the animal population of this place. Undulating hilly topography punctuated by dense forest is the main specification of the place. 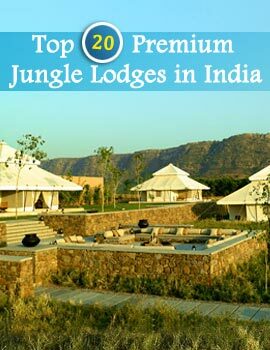 For wildlife enthusiasts with an adventurous bent of mind this is an apt place to be in. The vegetation is mainly deciduous type consisting of Sal, Teak and bamboo tress. The grasslands of Indravati National Park support wild animals like buffaloes, Chital, Barking Deer, Nilgai, and Gaurs. Barasinghas, Tigers, Leopards and Chausingha are a rare site but with luck you might glance upon few of them. Some other animals found in the region are Sambar, Sloth Bear, Dhole (Wild Dog), Striped Hyena, Muntjac, Wild Boar, Flying Squirrel, Porcupine, Pangolins, etc. The Park also shelters a lot of reptiles like crocodiles, Monitor Lizard, Indian Chameleon, Common Krait and Indian Rock python. It is best to visit the park during December to June. The park is well linked with Jagdalpur which is the district headquarters. The nearest railway station is at Raipur.